When I was a young child and I behaved in an inappropriate manner, my parents would call that “bad” behavior. Bad meant bad. Later on in my teenage years, I learned the meaning of “bad” had actually changed to mean “good”. A bad concert or a bad car actually meant it was a really good concert or an awesome car. Bad meant good. 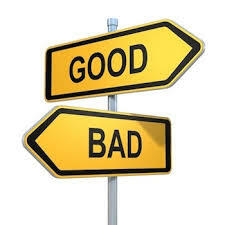 Well, since “Bad” can mean “Good”, is it possible that “Good” can mean “Bad”? The following is a list of statements that have been communicated to me by the “PARENTS” of the teenage drivers while they were observing me teach their children during their driver training lessons. I tailgate…..but I’m a good driver. I drive too fast….but I’m a good driver. I roll stop signs…..but I’m a good driver. I text while driving….but I’m a good driver. I don’t always signal….but I’m a good driver. I totaled a car last year….but I’m a good driver. I ran into my garage door….but I’m a good driver. I drive in “packs of traffic”….but I’m a good driver. I’m afraid of driving at night….but I’m a good driver. I rear-ended a car last week…..but I’m a good driver. I roll red lights on right turns…….but I’m a good driver. I have three speeding tickets…….but I’m a good driver. I drive in other driver’s blind spots….but I’m a good driver. I’m afraid of driving in heavy traffic…..but I’m a good driver. I’m afraid of driving on the freeway……but I’m a good driver. I’m afraid of driving on mountain roads…but I’m a good driver. I sometimes hit the curb when parking next to it…but I’m a good driver. I unsafely pull out in front of approaching drivers…but I’m a good driver. I depend on my mirrors and don’t check my blind spots…..but I’m a good driver. I sometimes cut other drivers off when making lane changes….but I’m a good driver. I sometimes make lane changes into other driver’s blind spots…..but I’m a good driver. ….but I’m a good driver. THE VAST MAJORITY OF DRIVERS ARE ……wait for it…….wait for it…..
Don’t believe me? How can you explain 6.2 million accidents annually in the U.S. with 3.2 million of those accidents involving injuries? Are all of those drivers good drivers? How can you explain approximately 35,000 traffic deaths each year? If our country is full of so many “Good Drivers” then why do thousands of these senseless deaths occur? How can you explain that since 1949, almost twice as many people have been killed on U.S. highways compared to the number of U.S. soldiers that have been killed in all of the wars the U.S. has been involved in, going back to and including the Revolutionary War beginning in 1775? Whatever happened to the goal of becoming, or having our children become, an “exceptional, expert, or extremely competent” driver? Sadly, that goal has never been really prominent in our society…….it’s been supplanted by passing a pathetic 8-minute DMV driving exam and receiving a little piece of plastic called a driver’s license. A driver’s license isn’t a goal, it’s just a piece of plastic. The list presented above is by no means a complete list. Review the list and see how many of those bad driving traits apply to your driving. How many of those bad driving traits do you think your children/teenagers will adopt because, if mommy and daddy do it, then it must be OK for them to do when they start driving. 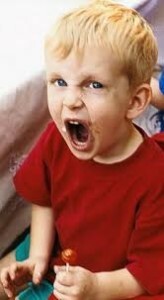 Parents will reap what they sow and bad driving traits are big bad dangerous seeds for new drivers. Please read my previous post The Education Program Most Likely to Kill to find out where a big part of the problem started. Additionally, if you’re interested in fixing the problem, please take a look at the 5 Star Driver program I’ve developed.